At long last! Spotify’s come to Xbox One. If you didn’t download it day one like the rest of us, a quick visit the Xbox Store will change all that. Once installed, you can listen to every crazy playlist, station, or band you want all while playing your way through your favorite games. 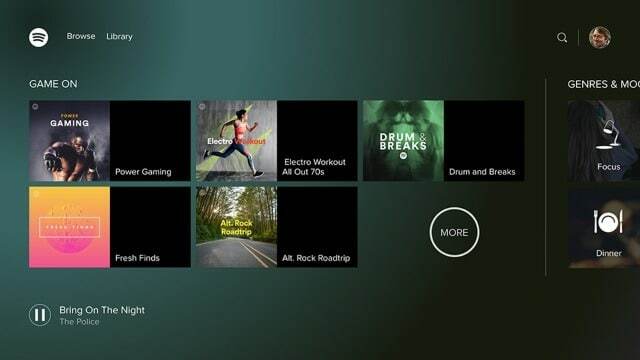 Spotify for Xbox One is available in 34 countries now. Let’s look at how to use Spotify on the Xbox One and get you jamming to your favorite tunes paired with your favorite video games. Installing Spotify on Xbox One is super easy. Go to the Xbox Store either on your Xbox One itself or via the web. From there, search for “Spotify” and follow the steps to download and install the app. For now, Spotify will stream over your Wi-Fi connection through the Xbox One and there doesn’t appear to be an option now or in the future to download music directly to your game console like you can elsewhere. Once installed, you will be able to play music while you’re gaming and control that either via the app on your mobile phone or the Xbox One itself. Now, open your mobile device or computer on the same network as your Xbox One. Begin playing a song – perhaps your favorite song to game to! A small message at the bottom below the song should say “Devices Available.” Click on it. Then, choose your Xbox One. If your Xbox One doesn’t show up, open Spotify on your console and try again. If this still doesn’t work, hard restart your Xbox One and follow the above steps to get them connected. Once connected, you’re ready to start jamming on your Xbox One. 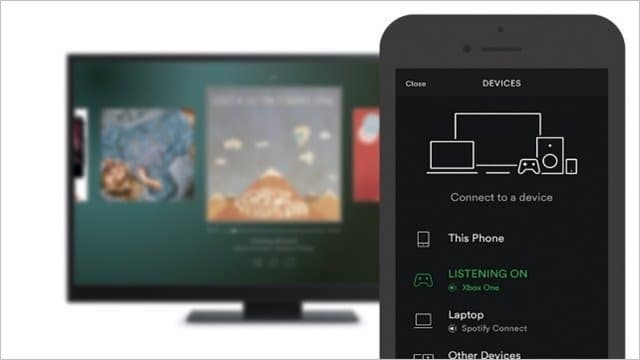 From here, it’s all about using your mobile device or PC to control Spotify through your Xbox One. While you can control it a bit through Xbox One, but the UI and controls are clunky at best. I don’t recommend trying to use Spotify without another device handy or you’re bound to get frustrated and go back to gaming without your favorite tunes. There’s no added functionality or features to Spotify for using it on the Xbox One at this time. You’ll see sorting music isn’t really an option. You’re only given the navigation options of listening to Spotify Playlists, Albums, or Songs through the Xbox One UI. There’s also no real way to discover new music on Xbox One’s Spotify app, so you’ll be forced to find it via mobile device or computer for the time being. You can stream music standalone on your Xbox One or play it in the background while gaming. Spotify on Xbox One is a big deal but so far it’s lackluster functionality and UI lets users down who’ve been waiting for this moment. Will Microsoft – and Spotify for that matter – create something more powerful and intuitive for music-loving gamers? Who knows? For now, controlling Spotify elsewhere is the way to jam out to your favorite music no matter what type of game you’re playing on Xbox One.